Me on top of the express boat bound to Tubau, after which we took the landcruiser to reach Penan territory at Ulu Belaga. Notice the piles of rattan neatly stacked on which I sit. 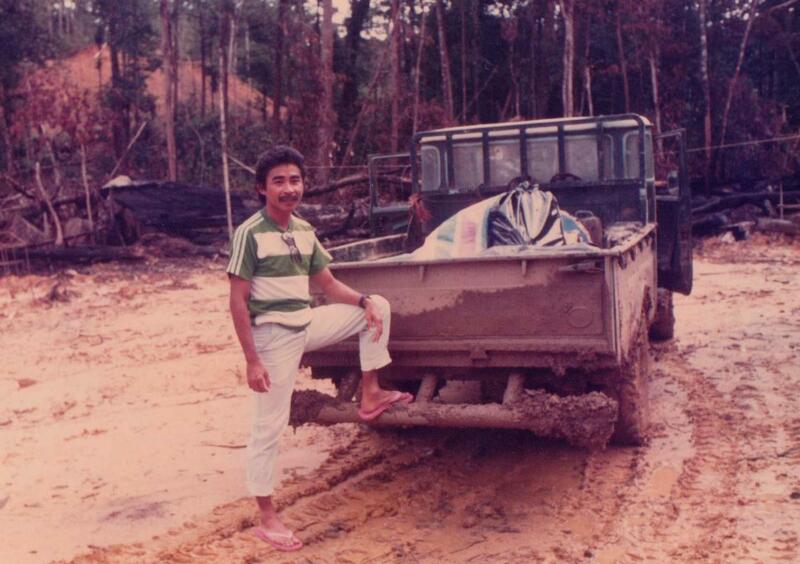 In 1987 I took a challenge to go deep into the interior of Sarawak. 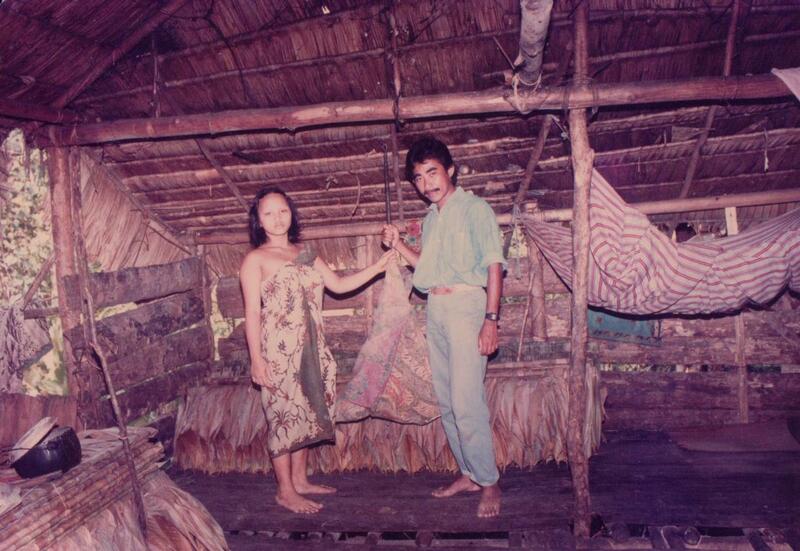 My mission then was to meet one of the well known nomadic tribes of Sarawak called the Penan. 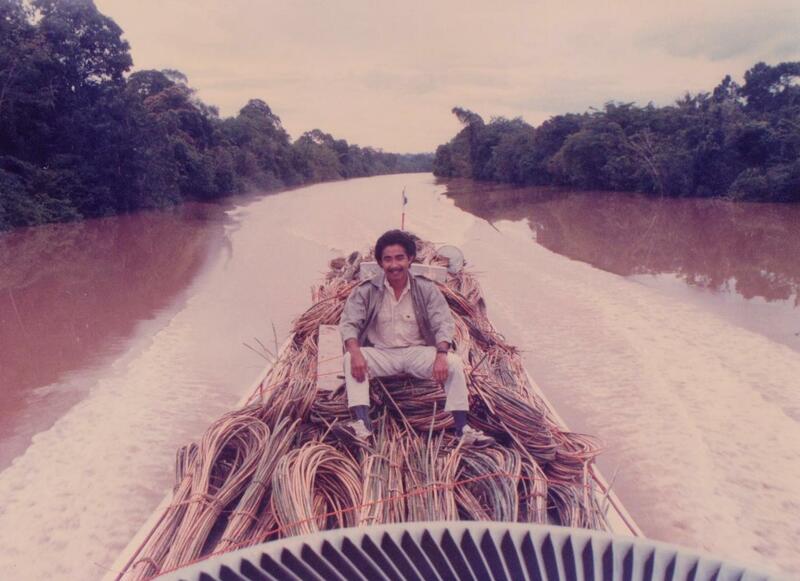 With the help of a forester friend we left Bintulu at 7.00 am on the 29th of September, 1987 and arrived at the Penan's location around 11.00 pm at night. The journey to Penan territory entailed a five hours journey by express boat and then a gruelling 6 hours journey by landcruiser using the muddy , slippery and dangerously steep logging roads. But feeling young then really there was no fear or real fatique. Only excitement to see eye -to -eye the true nomadic tribe of Sarawak. Indeed our journey was met with success. We slept the night in a makeshift jungle hut and woke up early to search for the Penan settlement. At around 10.00 am the following day and after travelling for about two hours in thick jungle we stumbled upon a small party of Penan who led us to their temporary settlement. 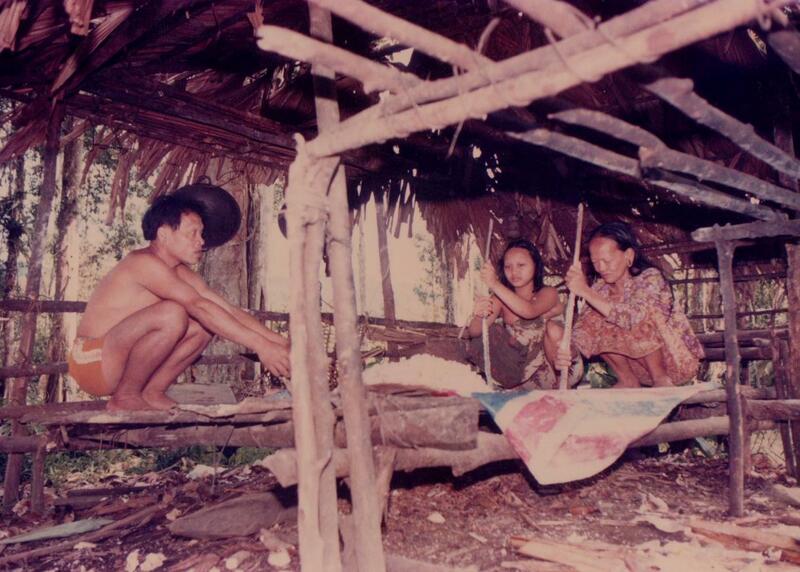 The above is a picture showing a Penan family preparing the wild sago as starch for food. The Penans live by extremely simple means. They are jungle hunters and gatherers. 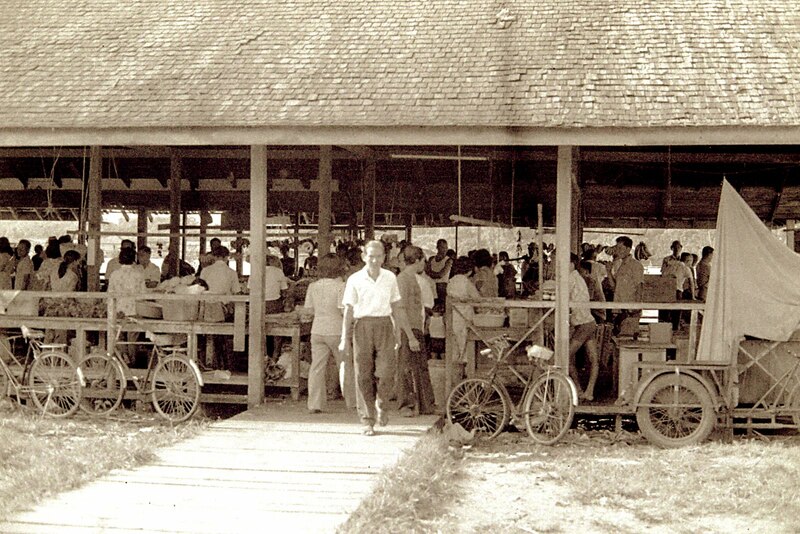 They move about the deep tropical forests of Sarawak and seldom meet other Penan parties or other native groups of Sarawak. As such they tend to shy away from people and by remaining in the jungles most of the time they retain a surprisingly fair complexion. Inbreding is common among them because contact with other Penan parties are seldom. Thus the Penan girls marry early as the need to produce children is found urgent due to their short life span as a result of tough life in the jungle. On this visit I met this young Penan mother who has just given birth to a boy a week ago. Without any name yet, my forester friend gave him his name" Masleh" to the little boy. To my surprise the family agreed. The Penans travel light. The most important things they carry are their bundles of clothes, cooking pot, blow pipes, knives and rattan carry baskets. All other needs are provided by the forest e.g. fishes, wild animals, fruits, sago, herbal plants etc. They do collect bird's nests,'damar' ( jungle resins) and rattan that fetch high prices when sold to rural traders. The Penans are extremely fit, stout and forever 'King of the Jungle'. 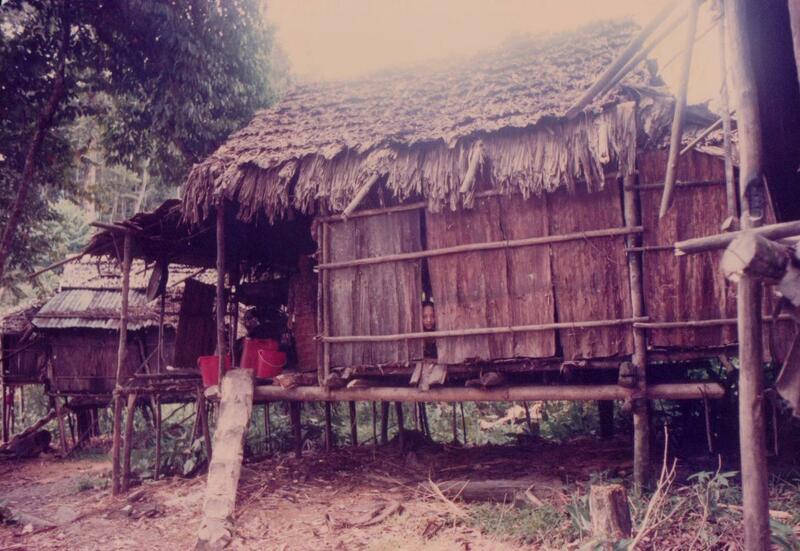 A typical temporary settlement in the jungle made of bamboos, rattan, palm leaves, tree barks and wooden branches. You don't need any nailing to the structure. Most are fastened or tied using rattan and strings made from tree barks. It would be very interesting to know what has become of " Masleh". One thing for sure he must be in his early twenties now. Could he have gone to school? May be studying at a local university? If only I knew.